Security leaders are no strangers to the task of managing the evolving cyber risk landscape, especially in highly regulated industries. 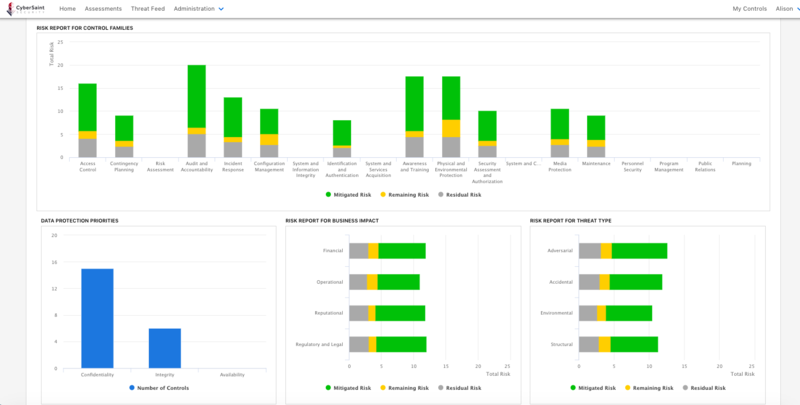 A holistic risk management program combines technology, process, and data to enable the simplification, automation, and integration of both strategic and operational management processes related to compliance and risk. Assessing risk requires the careful analysis of threat and vulnerability information to determine the extent to which circumstances or events could adversely impact an organization. 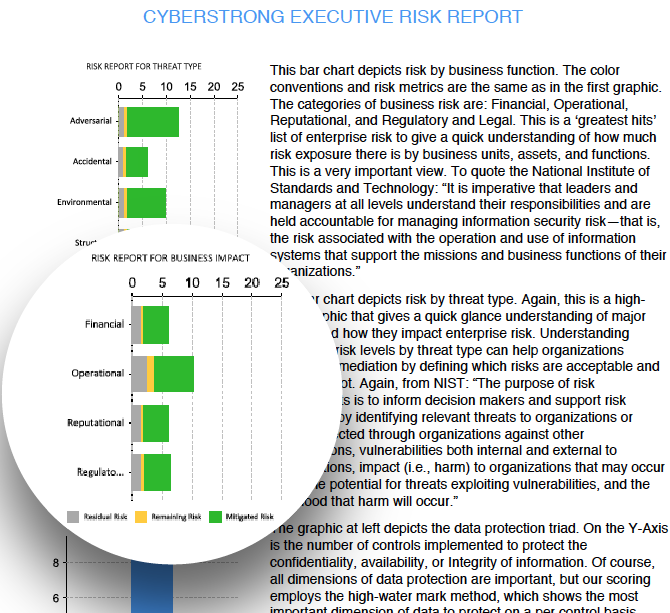 CyberStrong provides a comprehensive measurement and top-down view of risk across all business units, assets, and compliance functions. CyberStrong is also the only IRM platform to provide truly actionable, prioritized threat intelligence based on the controls that matter to your assets. Here are just a few CyberStrong features for risk management. 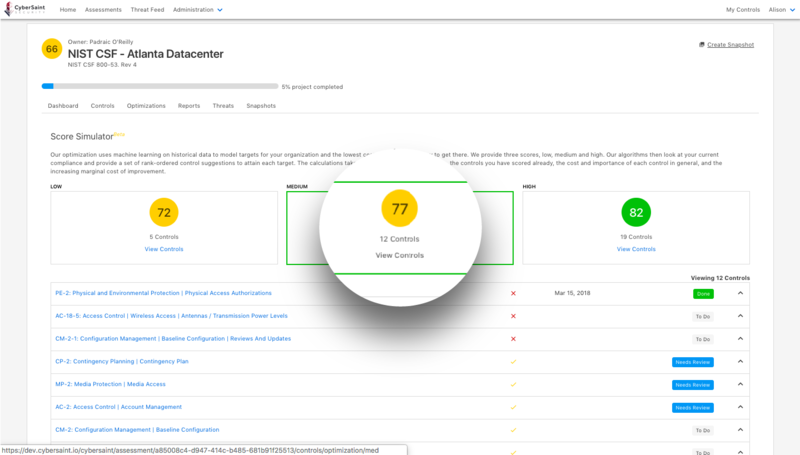 CyberStrong features an Assessment Summary Report, Assessment List Report, Standard Risk Report, Risk Assessment Report, and an Optimization Report. Any of these reports are exported out of the platform with one click and are always up-to date with the mitigation activities within a security program, enhancing the discussion around risk at the management level. CyberStrong provides you with the first and only automated CVE-to-control mapping, measurement and remediation suggestions. NIST's National Vulnerability Database paired with our patented algorithms allow you to “what-if” your entire security infrastructure with powerful analysis that promotes action. 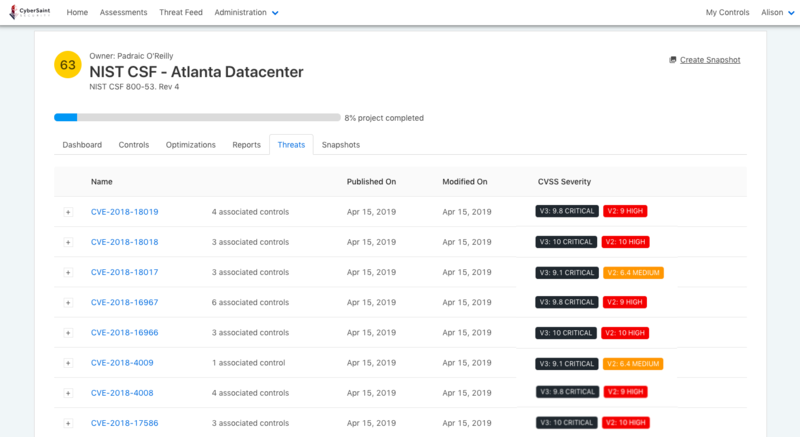 Until now, there’s been no mapping that exists from the Common Vulnerability Enumeration to your live controls, allowing for continuous, real-time risk management within your assessment environments. Vulnerability intelligence is now actionable, is specific to your risk posture, and suggests what to do next. Get up and running in hours, not weeks or months on a clear and optimized path forward. Expedite time-to-value and experience immediate ROSI with lighting-quick implementation that directs your focus toward the greatest impact.